A new study has revealed that researchers may not be doing enough to determine just how far-reaching the effects of this revolutionary gene-editing tool are. And the implications may turn out to be disastrous. People have been calling the CRISPR gene editing technology revolutionary for good reason: there’s no doubt that if used properly, it has the potential to cure many of the world’s worst diseases and medical disorders. And yet the fear that it can be misused to do unimaginable things also cannot be denied. Which is why the world continues to be divided when it comes to CRISPR’s potential benefits and threats. The findings of a new study recently published in the journal Nature Methods might be tipping the balance slightly, but it can go either way. 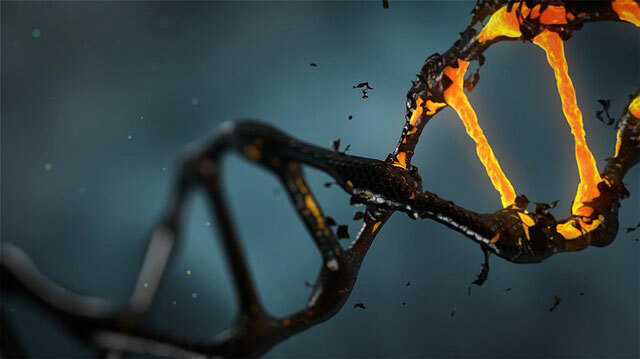 As the team composed of researchers from the University of Iowa, Columbia University Medical Center and Stanford University found out, although CRISPR can initiate gene corrections, it can just as easily cause hundreds of unintended and possibly harmful mutations into the genome. This discovery is extremely significant because it can potentially stop ongoing clinical trials in China and defer planned clinical trials in the U.S. scheduled for next year. As it is, CRISPR’s cut and paste mechanism can change parts of the genetic code. It can turn on and off genes. It can also repair and delete them. But while the technique can effectively target specific sections of the genome, the problem recently discovered is that when the complete genome is examined (not just the targeted section), it exposes what could be CRISPR’s most dangerous flaw: it causes mutations in other parts of the genome. According to the research team, when they sequenced the entire genome of mice that previously underwent CRISPR gene editing, they found that although CRISPR was able to correct the gene that led to blindness in mice, it also caused more than 1,500 small mutations and over 100 larger insertions and deletions in two independent gene therapy recipients. And none of these mutations were predicted when computer simulations were done. To be clear, the study isn’t actually discouraging the use of CRISPR. Neither is it discounting its positive effects. The main point is to promote even more comprehensive analysis and evaluation of the effects of CRISPR so that when it is finally used on humans, there won’t be any surprise effects.